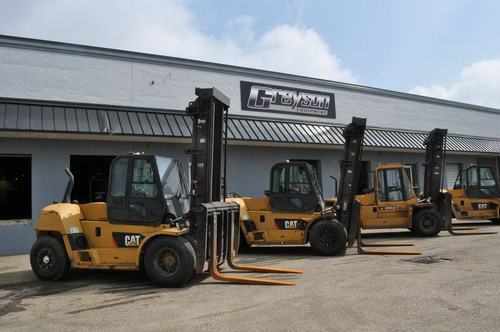 Greyson Equipment sells all makes and models of forklifts and aerial work platforms. We serve OEM and independent dealers, resellers, wholesalers, exporters, and rental businesses in all 50 States, Canada, Mexico, South America, and the Middle East. Real-time updates of our extensive inventory ensure the equipment you view is available when you need it, and you are seeing it in its accurate condition. Our goal is to provide you with quality equipment for the best value while making your buying experience simple and easy. We have new inventory rolling in daily, so if you do not see what you are looking for, please contact us immediately. READY TO BUY? Browse our forklifts, aerial lifts, scissor lifts, and shooting boom inventory below and call us at (800) 883-1204 or contact us online and reference the Stock #. ©2019 Greyson Equipment. All rights reserved.